For a limited time only www.theclassicinvitation.com is offering a free custom designed monogram when you sign up for our newsletter. To sign up email: newsletter@theclassicinvitation.com and include your name and email address. Contact us today to receive your own custom designed monogram. This entry was posted on Thursday, March 20th, 2008 at 6:08 am	and tagged with custom designed monograms, Free monogram, wedding monogram, wedding monograms and posted in Free monogram, Monograms, Wedding, wedding invitations, wedding monogram, weddings. You can follow any responses to this entry through the RSS 2.0 feed. « Plan An Out Door Summer Wedding and Save Money! 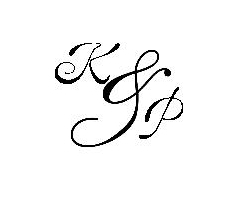 The Wedding Times » Blog Archive » Free Custom Monogram Design! Please allow access to one free monogram letter V & R.
Please give me access to one free monogram with letters G and W. Thank you! Please allow me access to one free monogram witht the letters K and J, last name B. Thank You!! Please give me access to one free monogram with letters V and C. Thank you! Hi could you please send me my free monogram. Hopefully it is not too late for the free monogram! It is a garden style wedding, with Tiffany Blue, coral and red. I hope its not too late. I would like to have a free custom monogram. Cindy and John N and our colors are teal and yellow. PLEASE could I have the free custom monogram in Black. 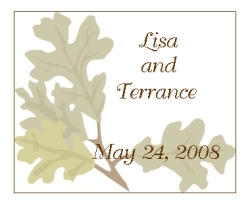 Hi can you please send me a mongram exactly likethe one above Lisa and Steven wedding date May 17 2008 but instead ALLISON & DANIEL our wedding date is June 13 2009 or ALLISON AND DANIEL whichever you think looks better. Hi. Can you pls send me the free monogram, letters CAD (1st,midde & last letters). Thanks you! Please give me access to one free monogram with letters A and R. Thank you! Please allow me access to the one free monogram for my wedding. I would like a D on the left, S in the middle, and E on the right all in black and script letters. Thanks so much! Please allow me to access a free wedding monogram. The names are Derek and Megan, Last name Niss. Thanks! Please send me a mongram, initials in this order MAT. Am I able to pick the style? Hi! I hope you’re still doing the free monogram. The groom’s name begins with a D, mine with an H and our last name will begin with a V. Thank you! I’m getting married august 15th 2009. I want a monogram kinda thingy for my backdrop. its a Cinderella fairytale theme with colours Fuchsia n Royal blue with silver…..! I would really love for you to help me. i don’t know if a picture of a Cinderella carriage can be apart of it but if it can please feel free to use one. the back drop that we are printing on is 4 ft long by 3ft wide. I would love to have a free three letter monogram if it is at all possible. Thanks, and I’m really looking forward to seeing what you come up with! Our last initial is G in case there is any way you can incorporate that into this design. I really appreciate your help! I would like the free monogram (for a wedding). The names are Nicole, Daniel, last name Lincoln – NLD. I prefer a dark blue color. Thank you! Hi! I would like access to one free monogram for my wedding. Initials are IHS for Iselle & Sergio, last name Hernandez. I would like the monogram. Written TWT. Could I get EPJ (P in the middle being bigger than the other two letters E & J)? Thanks so much! Could you please design a monogram for my baby daughter? The letters are PKB(Letter P is the first name,K middle and B the last). I want a brooch made for her and also have the same for her on her linens. Thank you. My daughter paid $10 3 days ago and never heard anything back. We have emailed the monogram file to your daughter. Thank you for following up. We truly hope she is satisfied with the final product.